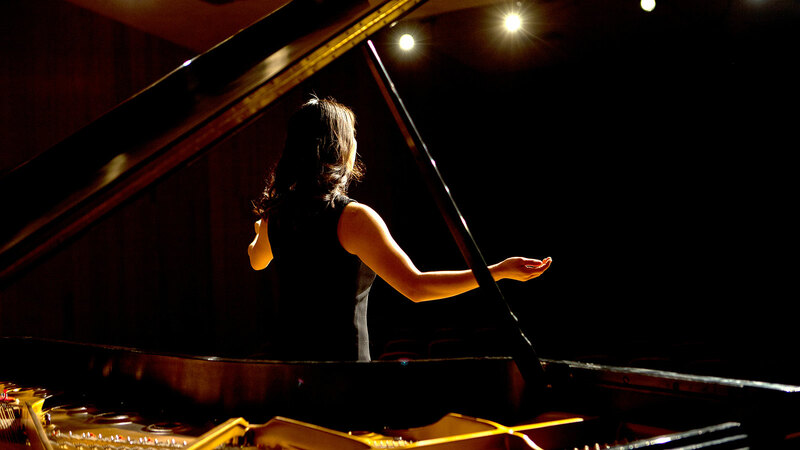 Vocal Performance is offered through the Division of Music in the Warren M. Angell College of Fine Arts. All students within the division study music theory and history, develop skills in a primary and secondary musical area, have multiple solo and ensemble performance experiences and are guided by faculty members who are professional, compassionate and committed to the call of Christ. The Bachelor of Music in Vocal Performance is a performance-intensive degree for students seriously considering careers as concert soloists, opera and musical theatre vocalists, recording artists and studio musicians, church musicians, studio teachers and other vocations in the music profession. What makes an OBU Voice Performance degree special? While other degrees place hefty requirements of a more general nature on students, the performance degree allows students to study acting, movement, dance, song literature and vocal pedagogy to fine-tune their craft. Due to more performing opportunities and requirements, Vocal Performance students work with their private instructor more in a one-on-one setting than other students. With top-notch teachers and faith-integrated learning, students earning a Bachelor of Music in Vocal Performance degree build a solid technique that ensures a lifetime of healthful singing. Students also cultivate expressive and technically secure vocalism enabling them to perform in a wide variety of outlets according to their abilities/interests. In addition, students develop a sense of elegance, humility, poise and gracious confidence in every public performance or singing endeavor while broadening and deepening musical skills and intelligence, which aid in discovering their creative, artistic and professional potential. The Bachelor of Music in Vocal Performance offers students an opportunity to grow in an atmosphere that is both challenging and nurturing through weekly studio classes, private lessons, master classes and voice seminars. Graduates typically view the degree plan as challenging yet rewarding as they look back and see how much they have grown. What are OBU grads doing with their Voice Performance degrees? Bachelor of Music in Vocal Performance graduates have gone on to highly successful careers in performance, education, studio recording and church-related fields. Graduates have appeared on stages and in theatres around the globe including the Metropolitan Opera and other famous opera houses in the world. Comprehensive vocal training combined with OBU’s strong liberal arts education gives graduates an extremely high acceptance rate into graduate schools such as Eastman, Indiana, Florida State, Cincinnati, Peabody, Penn State, Baylor, the University of Memphis and many others. Bachelor of Music in Vocal Performance graduates can also be found teaching across the United States at all education levels.